President Trump’s economy continues to exceed expectations, exposing the absurdity of “expert” projections of an impending economic slowdown. 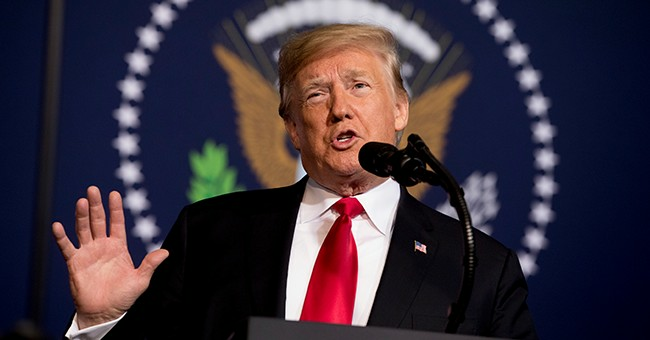 The overwhelmingly positive effects of President Trump’s economic policies were on full display in the most recent report from the Bureau of Labor Statistics, which revealed a healthy surge in job creation for December. According to the report, nonfarm payrolls jumped by 312,000 in the final month of 2018, with 301,000 of those new jobs coming from the private sector. In total, the U.S. has added more than 2.6 million new jobs over the past 12 months. Meanwhile, wages surged by 0.4 percent last month, pushing total wage growth to 3.2 percent for the year. As is quickly becoming the norm, the economic data for December greatly exceeded the pessimistic expectations of so-called “experts,” who painted a much grimmer view of the U.S. economy. Elsewhere, multiple economists and forecasters have speculated that the U.S. economy is on the brink of a “crisis,” even predicting that President Trump’s trade policy could trigger an economic “collapse” or a recession. As it turns out, this was just another example of the press trying to deceive Americans about the President’s accomplishments. Such gloomy assessments typically include references to recent dips in the stock market, but even that notoriously unreliable economic indicator has lost its usefulness to the anti-Trump media. In early trading immediately after the release of the BLS report, the Dow Jones Industrial Average rose by more than 600 points and was up by more than 800 points later in the day. Sadly, Democrats and the mainstream media have also made a habit of downplaying any good news about the U.S. economy — and the latest developments will likely be no exception. Don’t be surprised if liberals seize on the minuscule bump in the unemployment rate that coincided with December’s robust economic performance to argue that the economy is in worse shape than it appears. The main reason for that anomaly is an uptick in the labor force participation rate — which itself is an indisputably positive indicator that the U.S. economy remains vibrant and healthy — but you won’t hear that from the likes of Salon or Slate. For two years, President Trump has consistently defied his critics, proving them wrong time and again with a pro-growth economic agenda that has made America more prosperous than ever before. The experts said it would be virtually impossible to reach 3 percent GDP growth, yet the U.S. economy has now exceeded 3 percent growth for two consecutive quarters and is on the verge of hitting that milestone for the first full year since 2005. Similarly, after the experts warned that President Trump’s trade policy would end up harming the U.S. economy and starting a “trade war” with China, Beijing announced that it would slash its tariffs on U.S. automakers. This dismal track record is a product of the liberal media’s unhealthy obsession with attacking Donald Trump, which blinds them to even the most obvious realities. Thankfully, the Trump economy just keeps booming no matter how much that disappoints the President’s detractors.